Bodywork using specialized tool to release fascia, ease tension/pain, improve flexibility, posture, circulation and the appearance of Cellulite. Reduction in pain, changes to physical appearance, and flexibility increases happen over time although dramatic changes can occur after just one session. 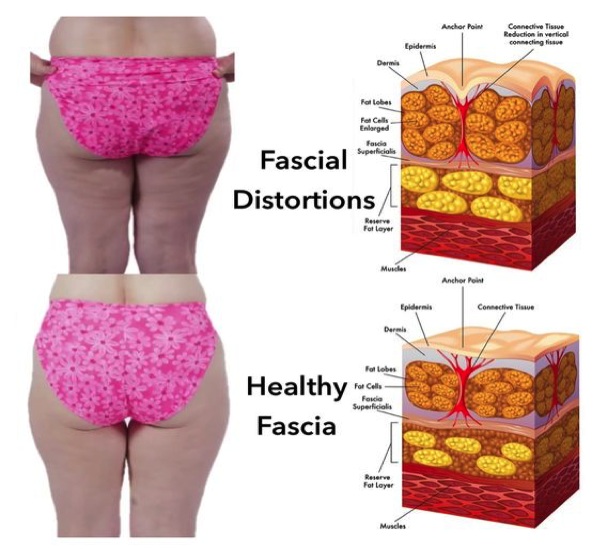 Fat (no matter where in the body) will take on the appearance of fascia, the webbed connective tissue that encases the entire system, When fascia is tight, restricted, or bound, fat will poke through the fascia irregularly, causing bumps, dents, and ripples under the skin. 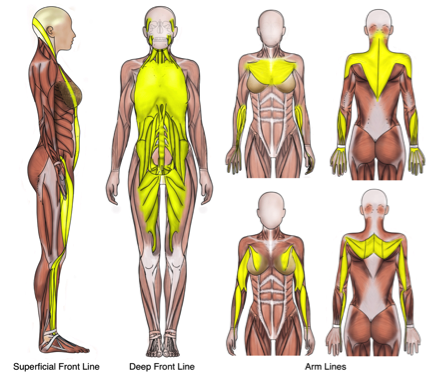 Fascia is head to toe, arm to arm, inside -out connective tissue that runs through our bodies in ONE piece like a 3-D spider web. Fascia divides our muscles and penetrates them like the internal skin of an orange, surrounding virtually every structure of the human body. Having loose, healthy fascia is vital for overall health and well-being by making us look, feel and function better. How often can I be treated? - 3 to 5 minutes per zone, up to 4 times a week. How Long before I see results? - Some will be immediately. Long term visible changes begin within a couple weeks of constant treatments. Amazingness--Many have higher energy levels, smoother, healthy skin, less pain, good range of motion, better muscle recovery It’s a good thing! !